And then there were three. 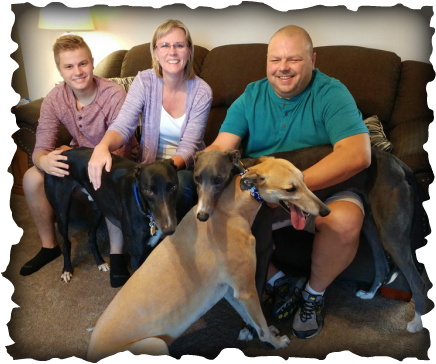 Sonya, Tim and Luke of West Carrollton have really enjoyed fostering for GAGC, but they were charmed by their latest visitor and decided to adopt him. Black male Flying Wagyu, now called Anubis (named after an Egyptian god), joins blue male Mako and red male Kruzer (sitting for his photo). These three boys get along great, but their family will have to stop adopting unless they get a bigger house!